Misti Meggs serves as managing director of site selection/economic incentives for Mohr Partners, Inc. in the Dallas office. Misti’s primary responsibility is to provide extensive and accurate site selection reporting to clients for the procurement of new commercial locations that meet their business-specific needs along with negotiating economic incentives. As a leader on Mohr Partners’ site selection and incentives team, Misti has evaluated markets and negotiated incentives for client requirements throughout North America. Those projects have resulted in successes across all industry types from financial services to manufacturing. 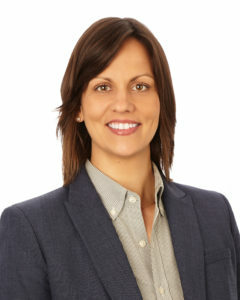 Misti joined Mohr Partners in 2007 working in business development. She subsequently held positions in portfolio account management and research. Misti holds a Texas Real Estate Salesperson License and received a Master of Corporate Real Estate (MCR) designation through CoreNet Global, the world’s leading association for corporate real estate (CRE) and workplace professionals, service providers, and economic developers. Misti’s transaction experience has proven to be invaluable when helping clients streamline the site selection and incentives process.